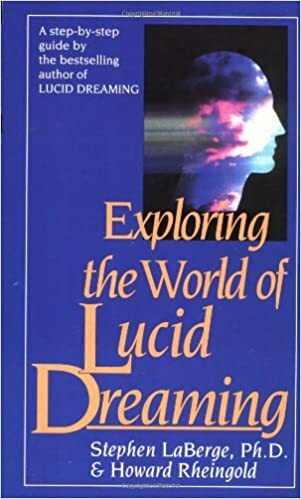 I have about a dozen books on lucid dreaming. This is the best one. Unsure if they have an audio version. Otherwise it's been a while since I've read anything. I went through a self-help/psychology phase and purchased a bunch of books I haven't gotten all the way through yet. I should read more. Please take discussions of the paranormal such as astral projection someplace else. Binaural beats are also inappropriate. Let's keep this in the realm of science. Welcome to r/LucidDreaming! Please check out the sidebar and Wiki before posting. Quickstart Guide for Beginners - Know this stuff before you post! 0. Be nice to everyone! 1. All posts must be related to Lucid Dreaming! 1a. No posts regarding just the paranormal. There's /r/astralprojection (among others) for that. The everything about dreaming multireddit! Finger Induced Lucid Dreaming This appears to be the biggest improvement in lucid dreaming techniques in a long time. Be sure to give it a try. Dream Views A good fairly comprehensive guide. There's also a great message board and an online dream journal. LD4all A message board, it's got solid information and good community. Mastering the Art of Lucid Dreaming A nice straightforward, step-by-step tutorial. All Day Awareness is a great approach. it is effort intensive, but pay back in lucid dreams and more awareness in life. This FAQ was produced by the Lucidity Institute. It's not pretty, but is based on solid science. LD - Lucid Dreaming - Being aware that you are dreaming while in a dream. RC - Reality Check - A test to establish whether you are in a dream or waking life, actively done during the day in hopes that the habit will continue within dreams. DC - Dream Character - Any personality you encounter other than yourself...well, occasionally it can also be yourself. WBTB-Wake Back To Bed - Waking up for 20-30 minutes, then going back to bed increases the chances of lucid dreaming. Use that time to read about lucid dreaming or plan your dreams, and make your intention solid. Can be combined with other techniques. MILD - Mnemonically Induced Lucid Dream - In short, MILD is telling yourself as you are in bed ready to sleep that you are going to become lucid when you dream, then visualizing yourself in a dream becoming lucid. Repeat until you fall asleep. WILD - Wake-Induced Lucid Dream - A technique in which you maintain consciousness while your body falls asleep. Not for the squeamish. FILD - Finger-Induced Lucid Dream - A technique using subtle finger movements as you fall asleep. SSILD - Sense-Induced Lucid Dream - A technique where you use awareness of your various senses as you cycle through them while falling asleep. False Awakening - False Awakening is in essence just dreaming that you woke up, only to usually immediately after either actually wake or have another dream of waking up from the previous dreams. Those can often happen multiple times in sequence. It can be a bit jarring but also fun. If those happen often use it to do a reality check every time you wake up (or think you do). SP - Sleep Paralysis - A natural, safe part of the process of falling asleep which causes you to be unable to move your body. The paralysis process happens to you every time you go to sleep. When you WILD and experience SP, you are conscious while it happens. Sometimes you may be visited by the dream transition buddies--relax and enjoy the show until you can interact with your environment. Attempting to induce SP is NOT required to achieve lucidity. This one is generally considered the best. I think it's exactly what you're looking for. I have it and it's helped me immensely. I'm a Chaote as an introduction to most of the key concepts. The point being to acknowledge that we create all meaning... and take a more direct role in the creation of that meaning. As a place to start, keeping a dream journal is the "first step" in most books on this stuff. You'll probably start to lucid dream just from keeping the journal, but if you don't this is my favorite resource for that. I'm an empiricist, and I am continually surprised at how good my brain is at making it seem like something truly magical is happening. Maybe it's not just my brain. Going into any of the actual experiences or what I chose to sanctify will probably just seem ludicrous without context. Magic is very much about personal experience, and it doesn't have the same impact when communicated.